Diesel, A Bookstore in Oakland welcomes The Diesel Readers back to the store to discuss The spirit catches you and you fall down by Anne Fadiman on Monday, November 12th at 7pm. The spirit catches you and you fall down explores the clash between a small county hospital in California and a refugee family from Laos over the care of Lia Lee, a Hmong child diagnosed with severe epilepsy. Although Lia’s parents and her doctors both wanted what was best for Lia, the lack of understanding between them led to tragedy. Winner of the National Book Critics Circle Award for Nonfiction, the Los Angeles Times Book Prize for Current Interest, and the Salon Book Award, Anne Fadiman’s compassionate account of this cultural impasse is literary journalism at its finest. This month's book is The Spirit Catches You & You Fall Down by Anne Fadiman. Anne Fadiman is the daughter of Clifton Fadiman and World War II correspondent and author Annalee Jacoby Fadiman. She came to national attention with her 1997 award-winning book "The Spirit Catches You and You Fall Down." Fadiman was a founding editor of the Library of Congress magazine Civilization, and was the editor of The American Scholar. Anne Fadiman is currently considered a "single author." If one or more works are by a distinct, homonymous authors, go ahead and split the author. 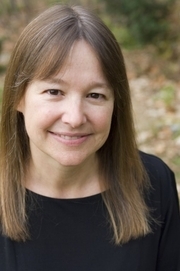 Anne Fadiman is composed of 11 names. You can examine and separate out names.